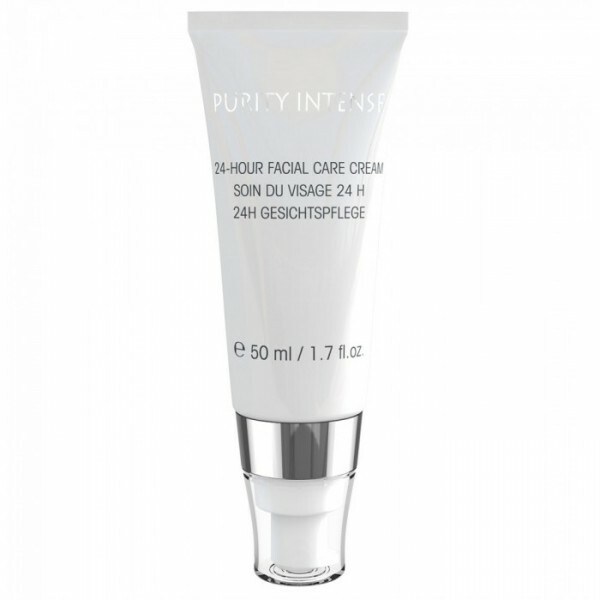 The light, mattifying and moisturising texture of Purity Intense 24-Hour Facial Care Cream has an antibacterial action and its active ingredients combine effectively with salicylic acid and zinc to help your skin to return to normal. Contains sebum-regulating, keratolytic active ingredients that reduce skin impurities and help calm inflammation, boosting your skin's radiance for a young, healthy appearance! Instructions for use: Mornings and nights, after cleansing with Purity Intense Cleansing Gel and Refreshing Toning Gel, apply to your face and massage in gently. Particularly suitable for problem, oily and irritated skin.